Whenever you're involved in a vehicle accident, it is important to exchange information with the other driver, including name, address, phone number, insurer and policy number, driver's license number and license plate number to facilitate the insurance claims process. However, if the other driver appears to be at fault, he may try to leave the scene before you can get the information. If this happens to you, there are some steps you can take. As soon as you realize the other driver has left before you've had a chance to exchange information, write down as much as you can remember while the incident is still fresh in your mind. Make a description of the vehicle, including make, model, color, nature of any accident related damage and any unique features like bumper stickers or window decals. Also write a description of the driver and any passengers who may have been in the vehicle. If there were any witnesses at the scene, get their input when creating your descriptions. It is possible that the witnesses may have noticed key points you may have missed, such as the direction the vehicle went after leaving the scene or if the driver may have mentioned his name. A witness may also be able to corroborate your version of events, which can help your case if you're not at fault. Be sure to get the witnesses' contact information for future reference. If the accident is minor and no injuries are involved, it's possible the police might not arrive at the scene. In that case, visit a police station and fill out a state vehicle accident report or download one from your state's Depart of Motor Vehicles website. 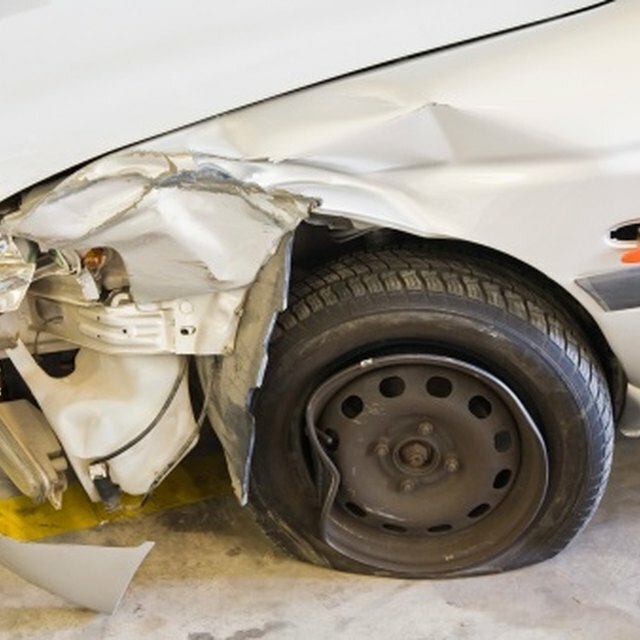 If your vehicle was damaged, the other driver could be apprehended and possibly charged with a crime such as leaving the scene of an accident. How Do I Handle the Auto Insurance Claim When I Was Rear Ended by Another Driver? You don't want to your insurance company to consider an accident to be your fault if you can avoid it, as this could result in a premium hike. If you've had several relatively recent at-fault accidents, one more could possibility lead to the cancellation of your policy. Unfortunately, if you can't substantiate your side of the story, your insurer may have little recourse than to find you at fault. Provide your claims representative with copies of all your documentation and descriptions to aid the claims investigation.